The destination of the championship being a multicultural destination, it saw several events held during the days of the tournament. The key event that kick-started the tournament was the No Limit Hold’em event which was held from 16th to 18th August. 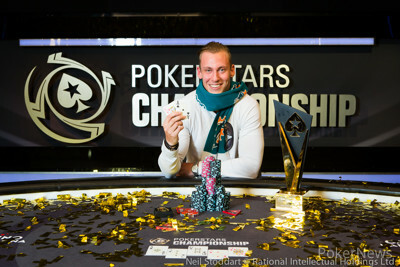 There were other events that were held simultaneously, such as the PokerStars National Championship, PokerStars Cup, PokerStars National High Roller and other events. For those who wished to consult the schedule of the tournament could do by visiting the official website. There were several events that one could participate by logging into the official website. The venue is Casino Barcelona, there was plenty to party and enjoy in between the events as well. There was a player party organized which was coordinated by producer and DJ Zedd. Being a multi platinum artist, he definitely set the party at new heights at Opium Barcelona. The show was one of the hottest that was hosted for the players. Indeed, the players had much to enjoy besides participating in the different events. There was an airport transfer service extended to the players as well as accommodation options that were all available at discounted rates. PokerStars Travels is the agency that looks into these arrangements and helps players to find lucrative travel and accommodation arrangements when they participate in PokerStars sponsored events across the world.